The Japan Aerospace Exploration Agency (JAXA), together with Mitsubishi Heavy Industries, Ltd. (MHI), announced a new launch date for Japan’s Kounotori 7 cargo flight to the International Space Station. According to the latest press release issued by JAXA, the Kounotori 7 mission (also known as HTV-7), will lift off at 2:15 p.m. EDT Sept. 21 (18:15 GMT Sept. 21/ 3:15 local time Sept. 22), 2018. 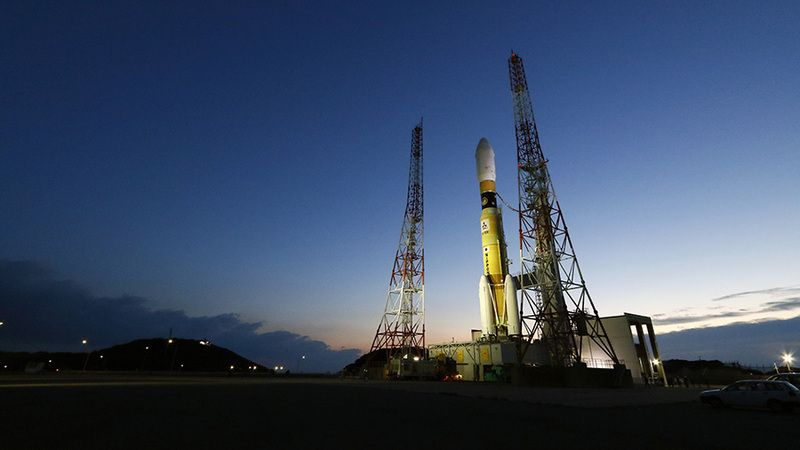 The cargo craft will launch atop an H-IIB rocket from Tanegashima Space Center in southern Japan. HTV-7 was initially scheduled to launch at 6:32 p.m. EDT Sept. 10 (22:32 GMT Sept. 10 / 7:32 a.m. local time Sept. 11). However, unfavorable weather conditions, including strong winds caused by a typhoon near Guam, forced JAXA to postpone the mission several days. Guam is home to the main ground tracking station necessary to maintain communications between flight controllers and H-IIB/HTV-7. After careful examination of the weather, the launch was rescheduled to 4:59 p.m. EDT Sept. 14 (20:59 GMT Sept. 14 / 5:59 a.m. local time Sept. 15), but this time the liftoff was scrubbed about two hours before ignition of H-IIB’s engines. The launch was halted due to an issue with the rocket’s propulsion system and required a postponement of about a week to allow time for engineers to identify and solve the problem. Given that the launch was postponed by a week, the HTV-7 spacecraft should arrive at ISS on Tuesday, Sept. 25. Its capture by the station’s robotic Canadarm2 is now expected at around 8:00 a.m. EDT (12:00 GMT). As was the case with the previous delay, the new launch date and the exact liftoff time are subject to change. They are dependent on weather forecasts, ISS operations and the station’s current orbit. The reserve launch window is still open until Oct. 31, 2018. Built by MHI, the 23,100-pound (10,500-kilogram) vessel is loaded with about 6.2 metric tons of supplies, fresh food, water, spare parts and experiments. The cargo aboard HTV-7 includes six new lithium-ion batteries for the station. Given that two spacewalks were initially planned for Sept. 20 and Sept. 26 with a primary task to replace the old nickel-hydrogen batteries with the new lithium-ion units, new dates for these extravehicular activities should be announced soon. Hopefully, Serena gets to do the second EVA with Gerst.